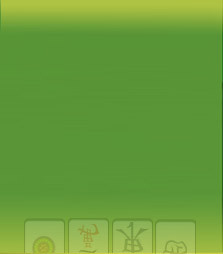 [AL: ] I started playing Mahjong in 2008 and joined a club in Rotterdam (The Netherlands). While playing I got the Mahjong virus and wanted to play more than a single evening during the week. My fellow Mahjongers pointed me out to Mahjong Time and after playing I got addicted to it. [AL: ] I try to play 4 or 5 days a week for a couple of hours. It keeps your skills to a certain level and especially now I recently started playing Riichi it is good to get up to speed. [AL: ] I started playing in December 2008. So this is already 3 years. [AL: ] There are a couple of things that I like. First of all you can play every single moment of the day a couple of games. I hardly never come across a moment that nobody is there. Also it gave me the opportunity to get to know other Mahjong players. When I play at Mahjong tournaments across Europe it is nice to know who your opponents are going to be. [AL: ] If you look at my avatar and try to picture me: I'm not the 80 year old Asian person you think I am. [AL: ] I started playing MCR 3 years ago but recently started Riichi. It is hard to pick a favourite. Both styles appeal to me. Now I'm playing Riichi I've learned to play a bit more defensive and that helps playing MCR at certain moment. If I have to make a choice I would choose MCR because of the complexity. [AL: ] It is hard to compare. Playing live is also meeting other people and I like to do that. Drinking a glass of wine with each other while playing the game has it charm. Combining that with on-line playing is a perfect match for me. In that way I can "meet" my friends from Italy, France or any other European country every day. [AL: ] I would say: Play Mahjong Time not only for winning every single game but use it also to practice special hands. In that way you get to know the game better.